This holiday apartment is 40sqm, has set up a maximum of 3 adults well as a child in the cot and was very loving, modern and comfortable. A separate entrance leads into the living room. Here are a couch with a table and chairs and a cabinet with TV. For a third person, the couch can be put extra if required. The adjacent conservatory is a dining table with chairs. The bedroom has a comfortable double bed with bedside tables and reading lamps and a walk-in closet. On arrival the beds are of course already covered with linen. Please bring your own towels or book them for an extra charge. The kitchenette is fully equipped with a stove, extractor, oven, kettle, coffee maker, toaster and fridge. The modern bathroom is equipped with shower, toilet and sink. The landlord farming about 100 meters from the apartment house located on the main promenade Sellin a fish lunch with a beer garden. Here you can fried fish of the island, try smoked or marinated or buy. Especially recommended are the fish soup after an old house recipe and the Pomeranian herring. Take advantage of the generosity and the comfort of our apartments. You are welcome to enjoy your daily breakfast in the Hotel Waldfrieden for 12,50 Euro. We look forward to welcoming you as our guests. Welcome to the Sellin!In the apartment house there are 4 quiet and modern holiday apartments (max. 4 people, to 2 bedrooms, wireless Internet) with separate entrance. It is a few steps from the famous William Street, and was built in 1909 in the style of resort architecture. The sandy beach and the famous Sellin pier is only about 300 m. The apartments also have beautiful balcony terraces with garden furniture and barbecue or a winter garden (App. 01). On arrival the beds are of course already covered with linen. Please bring your own towels or book them for an extra charge. Further information can be found in the description of the holiday apartment. The landlord farming about 100 meters from the apartment house located on the main promenade Sellin a fish lunch with a beer garden. Here you can fried fish of the island, try smoked or marinated or buy. Especially recommended are the fish soup after an old house recipe and the Pommernhering. When booking, our guests receive a 10% discount on admission to the Selliner Erlebnisbad Inselparadies car park spaces are sufficiently available on the property. For you have brought bicycles is a garaging available. The bus stop for public transport is about 800 meters away. A Fahrradabstellmöglichkeit is available, but no Unterstellmöglichkeit. 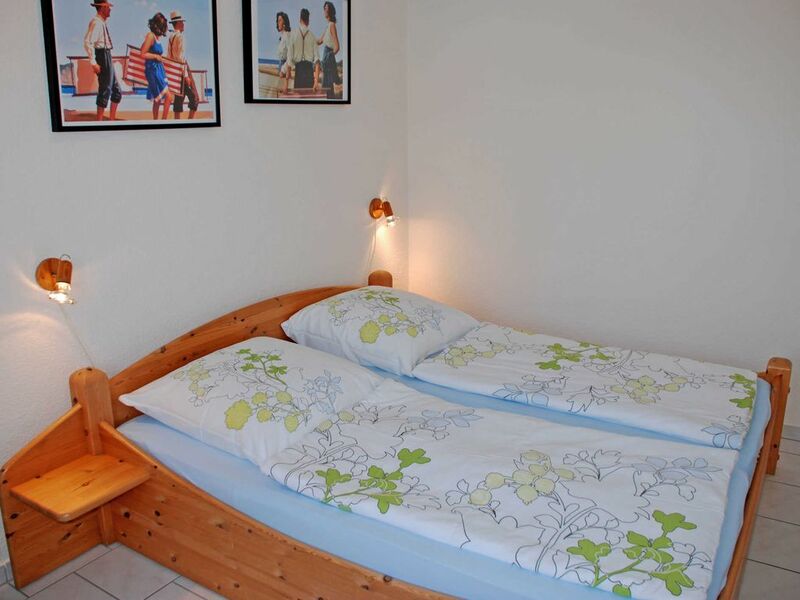 The apartment building offers an excellent location for your holiday on Rügen. The sandy beach with beach chairs and only 300 m. There is also the famous Sellin pier with restaurants. From the pier, you can also take boat trips to Binz, Göhren or to the chalk cliffs. In the Wilhelmstraße with the unique ensemble of old spa style villas, you will find many restaurants and cafes, as well as shops. Approximately 300 meters from us begin the trails in the Granitz with your magnificent beech woods. For cyclists is available an extensive bike trails network. In summer, the South Beach offers attractive water sports. The station of the "Racing Roland" is about 700 m and the nearest bus stop about 300 meters away. Shops are located in about 500 meters from the sea world.